In University President Drew G. Faust’s final semester, Harvard would seem like an interdisciplinary utopia. Driven by the “One Harvard” campaign, said to merge Harvard’s academic units into a larger academic community, students from every school fill course-preview classrooms to the brim. But the fantasy ends there. After applying to cross-register into another Harvard school, a logistical hell awaits students, rendering cross-registration nearly impossible. Despite Harvard’s ceaseless promotion of “One Harvard,” when it comes to taking classes outside one’s school, it’s as if “One Harvard” never existed. With few exceptions, whomever you ask, you’ll hear cross-registration horror stories. During shopping week this spring, a friend in the Graduate School of Education attended a total of eight courses at four different schools, with slim chances of getting accepted. A different friend attended a course preview at the Kennedy School, where the professor asked all cross-registrants to kindly leave the room since there was never enough space for non-Kennedy students. I personally petitioned to enroll in nine different courses outside of my school, and felt lucky when I got on the waitlist for just one. 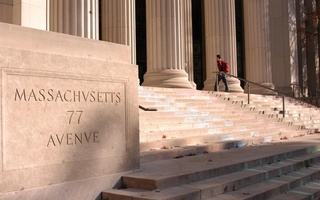 Even students who never attempted to cross-register have heard the rumors that it’s easier to register to MIT or Tufts than to a different Harvard unit. 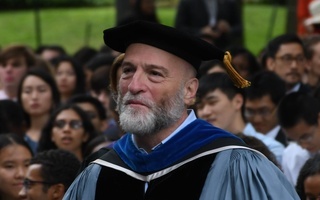 The difficulty with cross-registration lies within dysfunctional Harvard school policies. Schools like the Law School, Kennedy School, and Business School often give their own students priority seats before considering out-of-school candidates. Other schools without formal cross-registration policies but limited class availability usually do the same. As a result, cross-registrants must wait until just moments before the registration deadlines to know if they have been accepted. 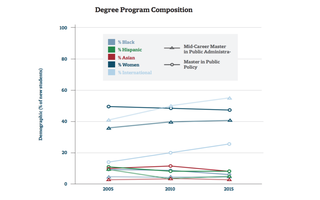 If a class caps enrollment, they usually aren’t. To make things worse, each school follows their own registration calendar, often with little to no communication between schools. Though relatively simple to resolve, poor communication has chronically plagued cross-registration; an op-ed written nearly a decade ago describes strikingly similar problems. For example, while students of the School of Public Health campaign for a seat in class in early December, students of the Graduate School of Education begin course shopping in January, long after all seats at the School of Public Health have been claimed. In my and dozens of others' experience, the sum of all this looks like the following: You obsessively check course offerings at every school as soon as they become available. Once you’ve made a list of potential courses, you launch a massive e-mail campaign to their instructors, making sure to pad your qualifications and highlight how much you need this course. During course previews, you huddle up with other fellow cross-registrants, and you collectively calculate your chances of getting in based on the school’s policies and deadlines. Finally, you make a multi-layer contingency plan for all in-school and out-of-school courses you have applied for, and pray that it all somehow falls into place. Spoiler alert: It doesn’t, and then you’re back to square one, looking for last-minute in-school courses that accept students past the original deadline. Why, then, does Harvard keep making this empty promise? It’s time to face the fact that, for many, cross-registration remains a selling point, a “you can study anything at Harvard” line in recruitment brochures that actively fails in practice. It’s a broken system, yet it claims that it works because students have the “right” to get rejected from everywhere beyond their own disciplines. This argument does not ask for schools to prioritize other students over their own. Certainly, when degrees require specific courses, and when certain courses require particularly skilled students, it makes sense to limit cross-registration. 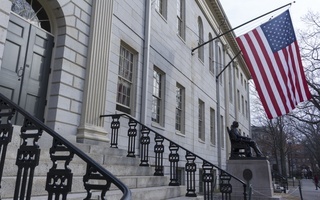 But keeping cross-registrants floating in limbo defies the “One Harvard” message. It supplants curiosity and innovation with bitter resignation. Understandably, anyone who has experienced the stress and disappointment of cross-registration will spare themselves the agony next semester and cling to their own school. It’s too late for students in the 2017-18 academic year and those who pursue yearlong degrees. However, we must urge Faust’s successor to make much-needed changes to the cross-registration system in the following years. If they turn their gaze towards instances of successful cross-registration, they will find some common themes: stratified lotteries. Reserved seats to ensure space for cross-registrants. Open enrollment, multiple sections, and joint offerings to meet demand. Timely, well-communicated deadlines and notification of enrollment. And more importantly, in these classes they will find a diverse group of students collaborating, thinking deeply, and meeting their true potential. Isn’t that what Harvard’s all about? While individual professors sometimes adopt more relaxed registration practices for their classes, it’s now time for administrative action. Harvard can still deliver on their promise of interdisciplinary education without sacrificing a whole lot. Only this time, cross-registration must work as advertised: for all students, not just those who get lucky. Despoina Lioliou is a master’s student in Human Development & Psychology at the Harvard Graduate School of Education.